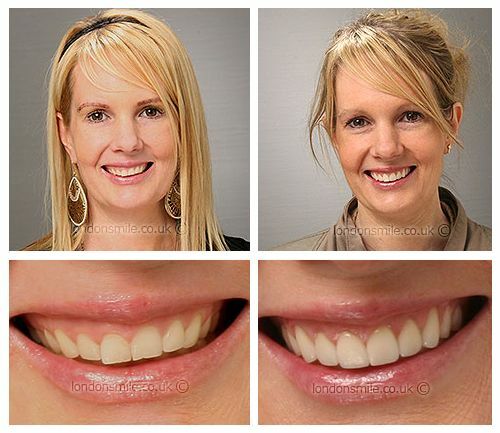 This patient was unhappy with her gummy smile and the appearance of her teeth. A gum lift and veneers on 10 upper teeth finally gave her the smile she had always wanted the difference is amazing and she is overjoyed with the result. Whenever somebody wanted to take a photo of me I hated it, I never smiled showing my teeth as I hated having a gummy smile and that my teeth weren’t straight. I had tried braces in the past and whitening but I was still unhappy. 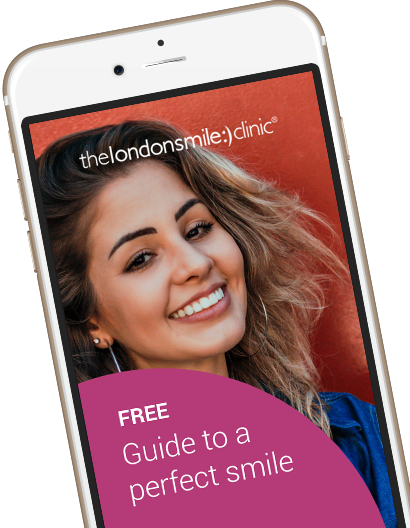 I’ve had 10 porcelain veneers on my top teeth and before that a gum lift procedure to improve my gum levels. I felt like I was in excellent care at all times. I was fully informed in advance and my treatment was extremely comfortable. Watching DVDs while I had my treatment helped tremendously!. I am over the moon with the results. I can now totally relax in front of others and can laugh as much as I like without covering my mouth.This has given me more confidence and makes me want to buy lots of new lipsticks! Of course! I wish I had this done years ago. I have travelled from the north of England for each appointment and the whole team and been extremely friendly and flexible in meeting my needs. Tim even stayed behind late for me one evening so I could get cheaper train fare! Thank you!